COMMITTEE (NEC) MEETING WHICH HELD AT THE AUDITORIUM, NIGERIAN BAR ASSOCIATION NATIONAL SECRETARIAT, ABUJA ON THURSDAY, THE 28TH DAY OF MARCH, 2019.
organogram for the NBA National Secretariat that was prepared by the HR Firm of Outsideln-HR and presented by the President to NEC. NEC also ratifies the engagement of Outsideln HR at the cost of N5 million for the National Secretariat restructuring and staff assessment and placement exercise. NEC further approves the proposal for personnel restructuring and right-sizing at the National Secretariat. payment of Bar Practice Fees (“BPF”) by members and its proposed extension as a payment facility to cover payments for all other NBA National-related fees and dues payable by our members and third parties. 2018/2019 and furthermore, the resolve of the NBA President and his executive to run a transparent and financially prudent administration is applauded by NEC. The Petty Cash Policy that was presented to NEC was also approved for immediate implementation. That NEC adopts and approves the Transition Committee Reports as presented to NEC by the NBA General Secretary who was a member of the Committee. The NBA President is mandated to implement the recommendations of the Committee as necessary and required. NEC notes that the Financial Report of the Transition Committee must be read in conjunction with the NBA Financial Statement as at 31 August 2018 as prepared by PricewaterhouseCoopers (“PwC”) and adopted by NEC at its meeting of 06 December 2018. The said Financial Statement provides a definitive and professionally-certified state of the NBA’s finances as at the said 31 August 2018 when the current Usoro-administration assumed office. the NBA must learn lessons from this incident and take steps to avoid recurrence in future. Bayo Akinlade, the Chairman of the Ikorodu Branch is suspended from office and as a member of NEC with immediate effect pending his appearance before a disciplinary panel to defend his action in defying the directive of the National President of the NBA directing him to hold off the conduct of elections for the office of the Vice Chairman of the Branch until all issues surrounding the said elections were resolved. The purported election of Mrs. Gloria Casius as the new Vice Chairman for Ikorodu Branch is hereby declared null and void and Mrs. Casius is advised not to parade or present herself as the Vice Chairman of Ikorodu Branch. Ezekiel Ogbaide Esq, the Vice Chairman of Ikorodu Branch is mandated and directed to take over forthwith as the Acting Chairman of the Branch pending the conclusion of the disciplinary processes against Mr. Akinlade. National Officers of the Association are mandated to liaise with the elders of Ikeja Branch and take such actions as are necessary for the resolution of the crisis in the Branch vis-a-vis the petition that was addressed to the EFCC by some members of the Branch over, inter alia, an alleged misappropriation of about N37m of the Branch funds by past officials of the Branch. As a corollary to the Ikeja crisis, NEC decries the current practice of our members in writing petitions to the EFCC on internal matters of the Association. Members are advised to follow internal dispute resolution mechanisms in resolving issues relating to the Association whether at the Branch or National levels. That NEC ratifies and applauds the efforts of the ‘National Officers aimed at reviving the moribund life insurance coverage for members and also expanding the coverage beyond life insurance. In that regard, NEC mandates the President to continue and conclude negotiations for the insurance coverage with Leadway Assurance Plc and WAPIC Insurance Plc and in the process ensure that the best terms and covers are secured for our members. 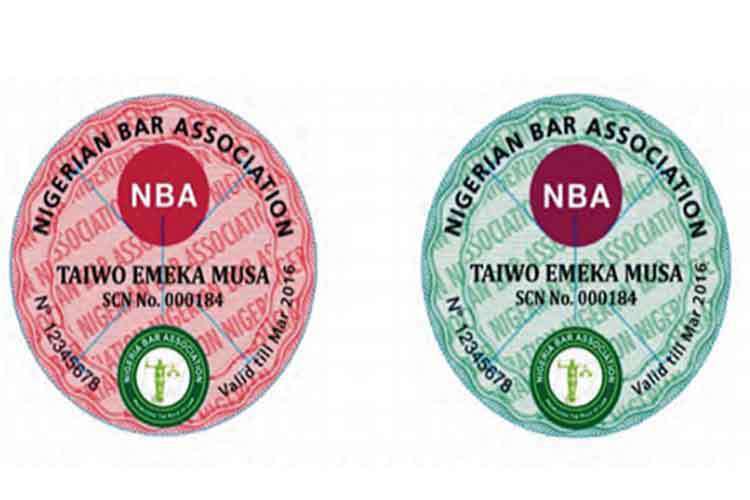 That NEC is disturbed and alarmed by the report that there is in existence a syndicate engaged in the illegal printing and production of fake NBA Stamps Even more alarming to NEC is the fact that lawyers knowingly patronize this criminal syndicate and thereby evade the payment of their Bar Practice Fees. NEC directs the National Officers to report this criminal syndicate to the relevant law enforcement agencies and follow through the investigation and prosecution processes to their logical conclusion. NEC further mandates the National Officers to ensure that lawyers who patronize the criminal syndicate are brought to book as well. That NEC notes that the recent judgments of the Supreme Court in Appeal Number SC. 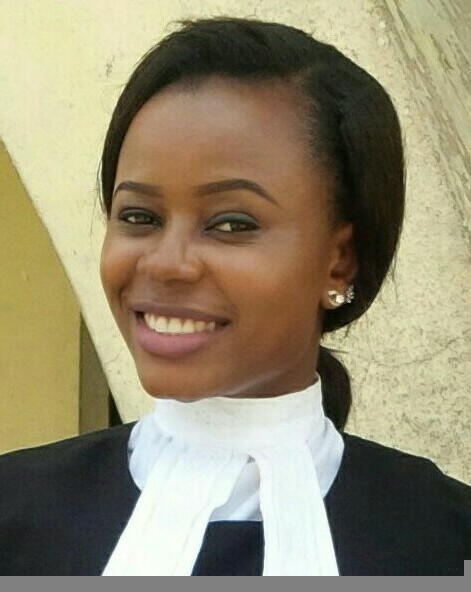 30/2016: Obiajulu Nwalatu Vs.Nigerian Bar Association and Legal Practitioners’ Disciplinary Committee and Appeal Number SC. 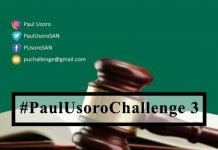 941/2015: Moses Wome Vs. Nigerian Bar Association have very serious and detrimental impact on the extant disciplinary processes as set out by the Body of Benchers and its Legal Practitioners Disciplinary Committee. By extension, these decisions have serious and deleterious consequences on the maintenance of discipline in the profession. The NBA President is mandated by NEC.to study the Judgments and liaise with relevant stakeholders including but not limited to the Body of Benchers in remediating the issues that were brought to fore by the said Judgments. 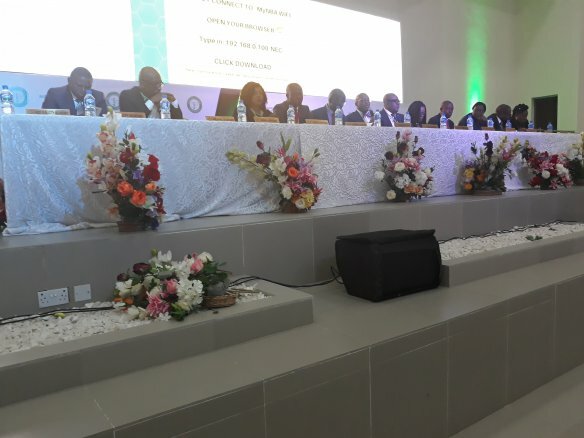 That NEC directs the Technical Committee on Conference Planning (TCCP) to work with the NBA President in preparing a budget for the hosting of the 2019 Annual General Conference (AGC) on which basis the fees therefor would be determined. The President is mandated by NEC to review and approve the budget and the fees for the AGC and report to NEC at its next meeting. TCCP is reminded of the commitment by NEC and the National Officers to our members for a content-rich but pocket-friendly 2019 AGC. NEC directs the TCCP to be guided by the said commitment in planning for the AGC. ThatNEC reiterates its published positions on the suspension and trial of the Chief Justice of the Federation, Hon. 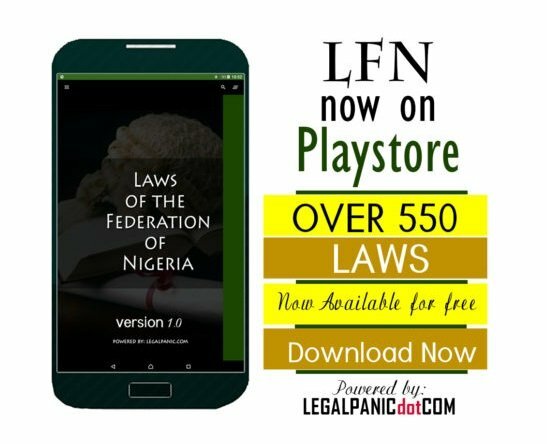 Mr. Justice Walter Onnoghen, GCON and further emphasizes that its positions are guided solely by the principles of rule of law, due process, security of tenure for judicial officers, independence of the judiciary and separation of powers between the three arms of Government. 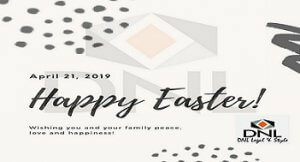 NEC therefore calls on the Federal Government of Nigeria to put an end to the on-going depressing trial of Onnoghen CJN before and by the Code of Conduct Tribunal and earnestly pursue, as it relates to the said unfortunate and depressing Onnoghen CJN saga, a resolution process that would retrieve and restore the dignity of the judiciary and the office of the Chief Justice of Nigeria. ThatThe Report of the Election Monitoring Committee that was constituted by the President for the monitoring of the 2019 National Elections is adopted by NEC and the Committee and our members across Nigeria who volunteered for the assignment are highly commended for their sacrifice and selflessness. The NBA President is directed to circulate the Report to all relevant stakeholders. NEC decries the pervasive malpractices, inadequacies and electoral infractions that are reported in the Election Monitoring Committee’s Report and directs the NBA President to draw the attention of all relevant stakeholders to these aspects of the Committee’s Report as well as the recommendations of the Committee as contained in the Report and fully adopted by NEC. That even though, NEC observes the reduced incidents of police brutality against lawyers in recent months, the incident has not entirely ceased. NEC directs the President to liaise with the Nigeria Police Force authorities instituting such steps as would completely curb this menace and also address ancillary complaints of members against the Force. That NEC deplores the recent kidnap of our Jalingo Branch past Chairman, Daniel Joel Ubandoma, and calls on the authorities to assiduously work at securing his release while bringing his abductors to book. NEC calls on Governments at all levels and countrywide to fulfill their primary responsibility of securing lives and properties in Nigeria. 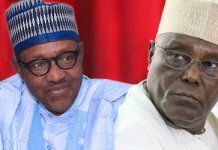 That NEC notes that courts in Nassarawa and Kogi States have been shut to litigants, lawyers and all stakeholders for several months now while the judiciary workers in both States have been on strike. This is of serious concern to NEC. NEC calls on the relevant authorities in both States to resolve the impeding issues as soon as possible and ensure that the courts are open. 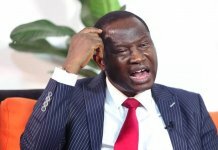 The NBA President is mandated to liaise with the relevant authorities and stakeholders in both States to resolve the issues that have occasioned the long-drawn shutdown of the courts.